Three Controlled burns are scheduled with the Ashland Forest Resiliency Stewardship Project. See the newly updated controlled burn map for locations. Smoke may be visible between Ashland and Talent. Trails around Bull Gap may be smokey. 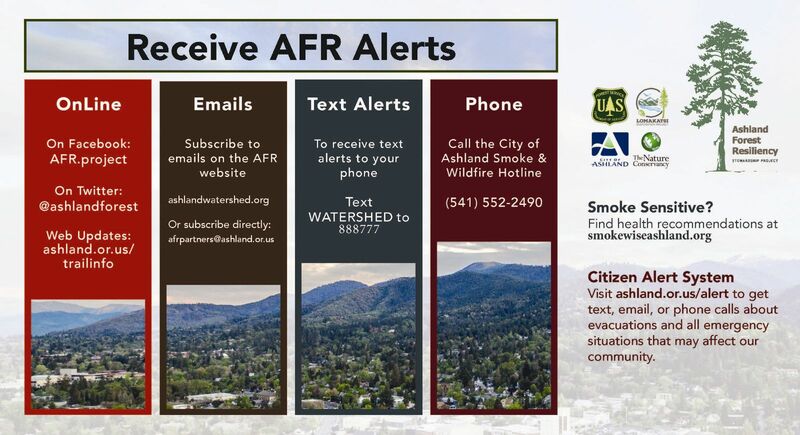 Stay informed on our controlled burns by signing up for text alerts, emails, or social media.